Guest Blogger Samantha: What Is It Really Like At Wildwood School? So, you want to know what it’s really like at Wildwood School…Well, the truth is, it’s awesome – or I should say, it’s awesome for my family. I was worried, as I think most sane parents are, about the level of entitlement that might exist at a Los Angeles private school. Worried for my child, but also worried for me. I mean look, I was well aware that I was gonna have to see these folks everyday – potentially for years. Now, for the kind of misanthropic person I can sometimes be, well, that’s a HUGE commitment! Thankfully, thus far, it’s been pretty smooth sailing and I’ve met lots of great people at Wildwood! Families come from all over town at Wildwood. Most folks that I hang with and have met are down to earth, normal, like-minded souls — just regular people trying to live interesting, thoughtful lives. And, the same can be said of the Administration, Faculty and Staff. I was thrilled to realize, once school started, that there were many people who worked at Wildwood with whom I would HAPPILY have a beer or glass of wine – maybe even two. Now that’s a recommendation in my book! There are families with money at Wildwood. Some of them have, I would imagine, A LOT of money. There are also families with not so much. Some families have their parents help with tuition. Some don’t. It really seems like a hodgepodge of differing scenarios. I have yet to see a tiara. Volunteering, happily, seems to really mean volunteering. I was involved this year at Wildwood, but was selective about where I spent my time. Some of my friends took their first year “off”, as it were, and wanted to get the lay of the land before they committed to anything. Others hit the ground running, and really rolled up their proverbial sleeves. And did I mention? Relieved. Unless you’ve been living in a cave somewhere, you already know the basics when it comes to assessing a private elementary school for your child. You’ve already balanced your educational belief system (progressive or traditional, etc) with what your child needs (and they don’t always match up). You’ve eliminated schools that would require a daily helicopter ride to attend. So far, so good. There is, however, another side to choosing a school. Your child is the major attendee, of course, but you will end up attending the school as well. All private elementary schools demand a certain amount of volunteerism and annual giving. And sometimes, it’s really hard to get a grip on what the parent body (and subsequent pressures) really is at a particular school. So you’re going to have to dig. Try talking to current parents of the school and subtly getting the scoop. For instance, every school has big fundraisers every year, but some are much more low key than others. You might prefer a daytime fair to a nighttime black tie event, for instance. But you won’t know that unless you inquire about the nature of these events. If the school holds events at exclusive country clubs, where the price to join is $100K, you can be fairly certain that parents at the school have memberships at the club and do their socializing there. That’s great for those who have memberships at the club, but what about those who don’t? Another good indication is the type of silent auction items that are in demand at a school. All private schools have these silent auctions (and guess who supplies the goods? YOU!!!). But while at one school the hottest item that went for the highest price might be some great Laker tickets, another school might offer a pricey dinner party catered by a family’s private chef, at their mansion. Or, to ratchet up the bidding, how about a trip on a family’s private plane to a lavish vacation home, fully staffed (also owned by the same family)? These are status symbols that garner big payoffs for the school. What’s important to you, and fits with your value system? Remember, you’re going to have to put up with this production every year, so you might as well be able to tolerate it. In previous posts, we’ve squawked on about the cars in the carpool line. Are they window tinted Escalades or a bunch of Priuses? Yes, it seems so shallow and judgmental, but if you aren’t a luxury car driving parent, a parking lot full of Range Rovers and Porches might not really mesh with your priorities. You know that totally obnoxious car ad involving the boy embarrassed by his parents’ car? Do you want your kid to start making those snotty noises at you? And speaking of snotty noises, you should try to find out what the celebrity quotient is at the school. Now, there’s nothing wrong with celebrities. L.A. is full of them, and they help keep our economy afloat (when they’re not collecting swag, that is, but I digress). I went to Crossroads a million years ago, and I benefited greatly. For instance, when we did a Sergio Leone unit in English Communications, James Woods came in to talk to the class about “Once Upon a Time in America.” Ditto for Martin Sheen during our Conrad Heart of Darkness and Coppola “Apocalypse Now” section. It was incredible. What wasn’t incredible, though, was being at a school heavily dominated by industry types when I didn’t come from an industry family. So, if you are in the industry, you’ll probably have no issue sending your child to a more “Hollywood” school. But, if you aren’t involved in entertainment, it might seem much less appealing. Finally, all you moms applying to schools out there, please check out the current mothers at the school. Although I’m a firm believer that there’s a place for everyone in the universe, shared aesthetics and values are important. If you’re a crunchy mom, you might not enjoy a school full of moms wearing 3-carat diamonds and pumped with enough Botox to kill a small village. Just saying. Like Beyond The Brochure’s Facebook Page! My child is no stranger to sleep away camp. By the tender age of seven, she was asking to go away (I said no; she couldn’t even brush her own hair then, so there was no way she was going away for two or more weeks). When she was eight, I gave in and sent her to the camp my sister, step-sister, and myself attended. She did not love it. She said the kids were mean and the counselors unfeeling. Still, she gave it another try, returning at age nine for yet another session. She reached the same conclusions. After that, she was hesitant to go again. But I knew that camp was good for her. Rather than spend the entire summer in smoggy L.A., going to day camps she didn’t much like, she could be in a beautiful, rural environment learning new skills. Besides, I didn’t want her to give up. It wasn’t camp that was the problem, it was finding the right camp. Her father sent away for info on camps in, of all places, Maine. And she found one she liked. Three and a half weeks away on a lake in Maine. Formidable stuff for a kid who claimed to not like sleep away camp. I have to say, it looked amazing. All girls. There was an endless schedule of activities like riding, sailing, gymnastics, and tons of art stuff. There were plays and beach days and clambakes. After viewing the DVD, I wanted to go there, too. Anna flew out of LAX with a positive attitude, and it served her well. I tracked the camp’s activities every day through its website, checking the photos for signs of her. She was happy and smiling in most of the shots. When I spoke to her for one of our two phone calls, on her birthday, she practically blew me off in an attempt to get back to her party (I was not upset by this; it’s a good sign when your kid is at camp and isn’t interested in speaking to you because there’s too much fun stuff going on. This is what you pay for). Her letters were laughably short and upbeat. The time kind of dragged on for me. Almost a month without your child is a bit rough. I started to feel like part of me had been amputated. But hey, that’s my problem. My job as a parent is to let my child have new experiences, and learn to function without me. Upon her homecoming, I fully expected her to be totally obnoxious. After all, she’d just spent almost a month with pubescent girls, getting as teenaged silly as possible. Surely, she’d be mouthy, sulky and difficult. Nope. Just the opposite. She came back more mature. Not to mention helpful. Sleep away camp, you see, really is a character builder. It used to be that we went away to escape our parents and enjoy some freedom from the tyranny of chores and nagging. But kids don’t really have that relationship with their families anymore. Many of our kids go to private schools that offer tons of activities and endless amusement. Parents tend to want to be their kids’ friend rather than authority figure. And chores? Not so much. So camp has become the place where kids are given housework to do, group responsibilities to fulfill, and self-reliance is paramount. Sure, they’re watched over, but they’re also expected to tow absolute lines. Anna came back with a new attitude of cooperation. She cooked her own oatmeal and offered to walk the dog (and took pride in the fact that he behaved so well for her). Camp gave her a sense of being a part of a larger unit, and she seems to have transferred that to our own tiny family unit. And my worries of Miley Cyrus mouth? Totally unfounded. If anything, Anna acts even more like the world’s smallest 30 year old. Before too long you’ll be touring private schools and filling out applications and caught up in the admissions whirlwind. If you’ve tried to keep thoughts about all things private school off your mind because its summer, but your mind keeps wandering back to the topic, here are a few things to think about before you tour schools. If you pay close attention and talk to other parents, you’ll learn things about a school that probably won’t be discussed on a tour. They aren’t good or bad, but they’re some of the most subjective things about each school that may (or may not) appeal to you. Of course, schools want to impress prospective parents with highlights of excellent programs, outstanding teachers and brand new facilities. But, when you’re looking at schools, think about how a school reveals itself in a more subtle or informal way. Pay attention to what the school says in the official publications of course, but also look for the less obvious things about a school you might otherwise overlook. And, give some thought to what the school doesn’t mention on the tour. Every school tells its own story. If you look closely as you tour a school, certain things will stand out for one reason or another. There will be things about the school that give you information about its culture, its educational philosophy and other factors the school administrators may or (may not) discuss. · Location. We’ve written about location on this blog before because it matters and the location of your kid’s elementary school might impact your quality of life if there’s a geographic problem. Geography can become a challenge for playdates, drive-time (is it really 3 hours a day? ), friendships, ethnic diversity, mandatory carpools and volunteering. If you’re thinking about a school’s location in terms of its accessibility to your house, that’s a good idea. But, you may also want to think about whether a school’s location will prevent it from having a diverse student population. Is it too remote for families who live outside the immediate neighborhood to attend? Does it offer a bus? Would it be possible for families with one car to get their kids there and back? Where do most of the families at the school live? A general answer about “we have families from everywhere” should make you look more closely at where the families really live, especially if you think you may live outside the area the school draws from. · Feeder preschools. 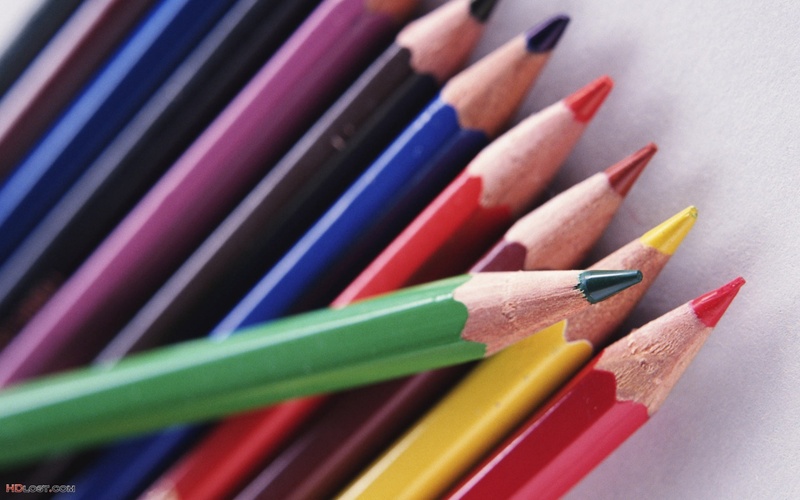 Most elementary schools will tell you they accept students from a wide range of preschools. 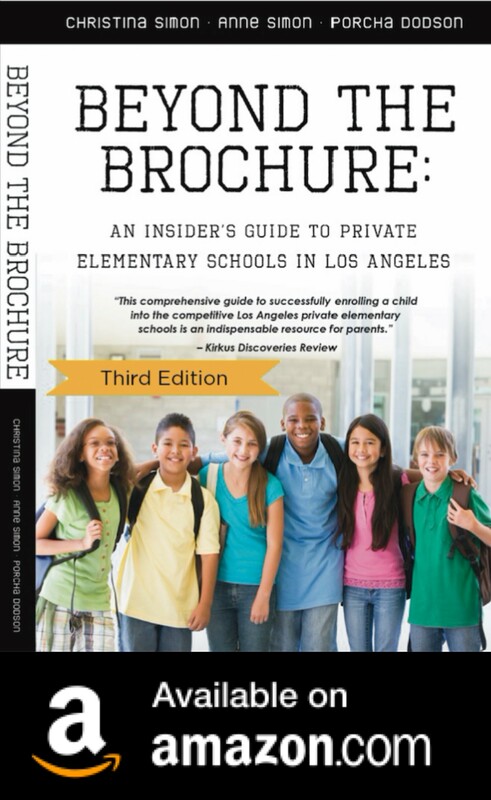 But, a quick check will tell you there are “feeder” schools to many of the top private elementary schools in L.A. If you have a sense of the community at the “feeder” preschool, that will give you insight into the culture of the elementary school which accepts the preschool’s students. If the “feeder” preschool to an elementary school that interests you is known to be insular and pretentious, it’s safe to assume those elements won’t magically disappear once the parents arrive at elementary school. Even the location of the “feeder” preschool(s) can give you insight into where the elementary school families live. · Cars in carpool. Does this sound funny? Silly? Maybe, but the cars in a school’s carpool lane can give away a lot about the school! If you get a chance, look at the cars in a school’s carpool. Are they super-fancy? Are they a mix of car types? Are nannies picking up kids in Range Rovers? Do kids have drivers? Or do you see a lot of common SUVs, Toyotas and Volvos? Are there Limos? Minivans? · Plaques on the wall. Ah, yes, the “must-see” plaques. Some schools adorn their walls with plaques naming big fundraising donors or even buildings. Would this bother you if you had to see it daily? Would a school that named every empty space after a family at the school annoy you? It might suggest a strong emphasis on fundraising and a “who’s-who” at the school. · School events. The type of events a school hosts gives you loads of information about the school’s culture and parent-body. If a school hosts an elaborate, over-the-top annual auction at a country club and you despise the notion of membership only clubs, maybe this isn’t the school for you. Does the school host an annual camping trip and you hate to camp? Maybe the school is too crunchy for your family. Once you’re at the school, it’s hard to avoid these events, even if they don’t appeal to you. Once you’re a parent at the school, complaints about an event being too fancy or too crunch will go unheard or just make you unpopular. Or, you may be handed the entire file and told, “If you think you can do a better job, you do it!” And, you’ll be expected to attend the event, fancy or not, crunchy or not. · Current parents. Talk to other parents at the school. Don’t be shy, talk, talk, talk, ask as many questions as you can. This is a frequently mentioned tactic for gathering information about a school. That’s because it’s effective. When you talk to parents at the school, don’t be afraid to ask about the other parents, kids’ activities, school events and anything else you can think of. A simple, “what are the other parents like?” is a great question, without bias. The question, “I hear that parents at the school are snobbish,” will just make the person you’re talking to defensive. Another good question is, “Are most of the moms stay-at-home or do they work outside the home?”. Any answers you get will ultimately provide you with valuable insight as to whether your child and your family will fit with that school. These are just a few of the ways a school tells a story. There are definitely other clues that reveal more about a school than what is talked about on a tour. More to come on this topic! 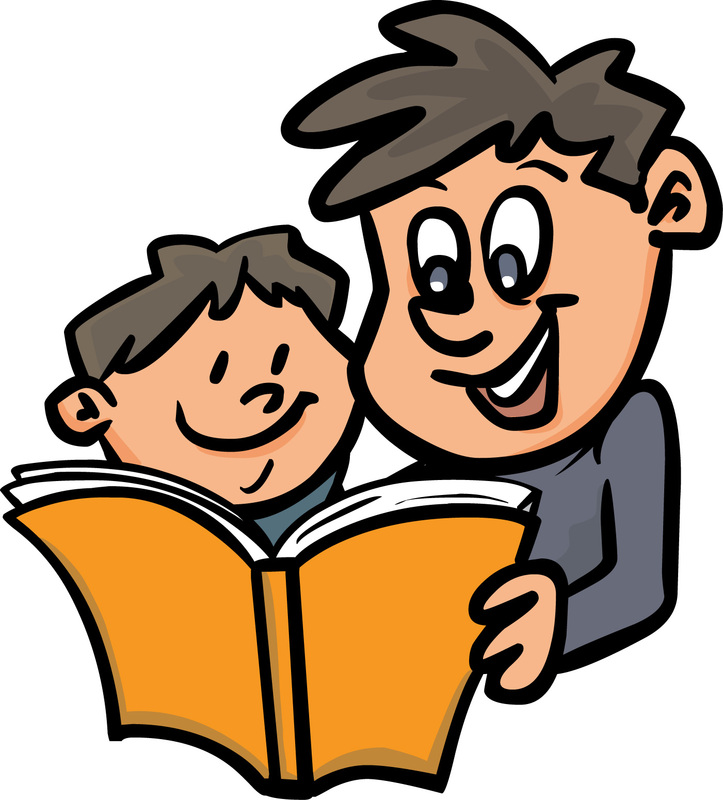 Reader Question: Do Busy Dads Have To Find Time To Volunteer At Private Elementary School? Question: At one of our speaking events, a dad in the audience asked a good question: How can busy dads who work full-time still volunteer at their kids school? Answer: This is a great question! There are so many volunteer opportunities at private elementary schools (unlike smaller preschools) that most dads who aren’t at-home dads can usually find volunteer tasks to fit their schedule. At The Willows School, dads chaperone field trips, talk to kids about their careers/jobs, help set-up/break down events, fundraise, and help with computer technology projects and serve on committees, among other things. Also, look for volunteer tasks that can be done from home like graphic design, fundraising, and work that doesn’t require taking a day off work. The 1950s dad is a thing of the past (mostly). These days, dads tend to be involved in all aspects of their kids’ lives, including school. In addition to this being important for their family, it is also VERY important to private schools to have dads involved. In most households, dads are involved in the financial decisions for the family. Especially when it comes to writing checks for tuition, annual giving and other school fundraisers. 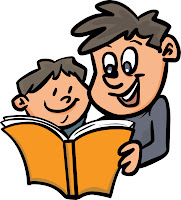 If dads are disconnected from the school, are rarely at the school and have little or no idea of the wonderful things the school is doing, they will be less inclined to contribute generously to the school. The schools know this and therefore actively recruit dads for volunteer roles. For the dads out there, during your first year at a school, pick a volunteer job that you will be able to complete. There’s nothing worse than a volunteer (mom or dad) who signs up to do something and cancels at the last minute. This is avoidable if you plan ahead and don’t take on too much. Hint: During the admissions process, some families try to signal they/their husbands have “important” or high-paying jobs by telling the admissions directors these guys will be able to help the school “behind the scenes” or by “serving on committees”. It’s code for “we’re rich”.